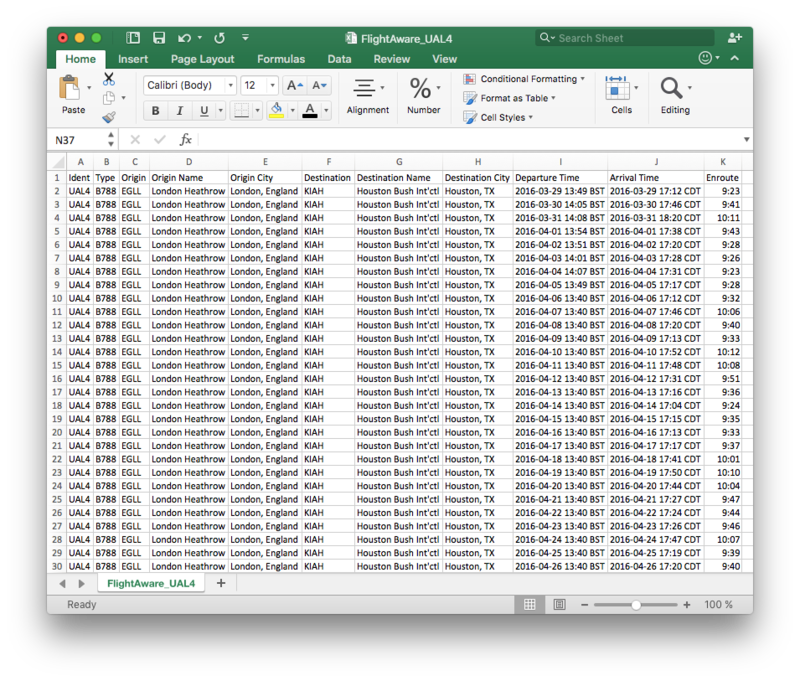 FlightAware will conduct a full history search for 17-5240 and send a report to your e-mail address within one hour. The report will be available via a link in the e-mail. The file will be in CSV (comma separated values) format that can be easily opened with Microsoft Excel, Google Docs, or any spreadsheet application as well as imported into any database including Microsoft Access. Each flight will be on a separate row and include aircraft type filed, origin and destination information, departure and arrival times, and total time enroute. FlightAware is unable to automatically sell historical data for 17-5240 online. Please contact us for help.